If you've never hunted or chased Mountain Lions with hounds, you are in for a great adventure. Mountain Lions are magnificent, elusive animals and Colorado is just as beautiful in the winter as the summer or fall. Wildlife abounds in the low-country wintering grounds. We locate mountain lion tracks in the early morning with 4x4 pickups and snowmobiles. Once a track is located, the atmosphere is exciting as our well trained lion hounds are ready for the chase! At this time of year the mountain lion pelts are in peak quality and make exceptional life sized mounts. 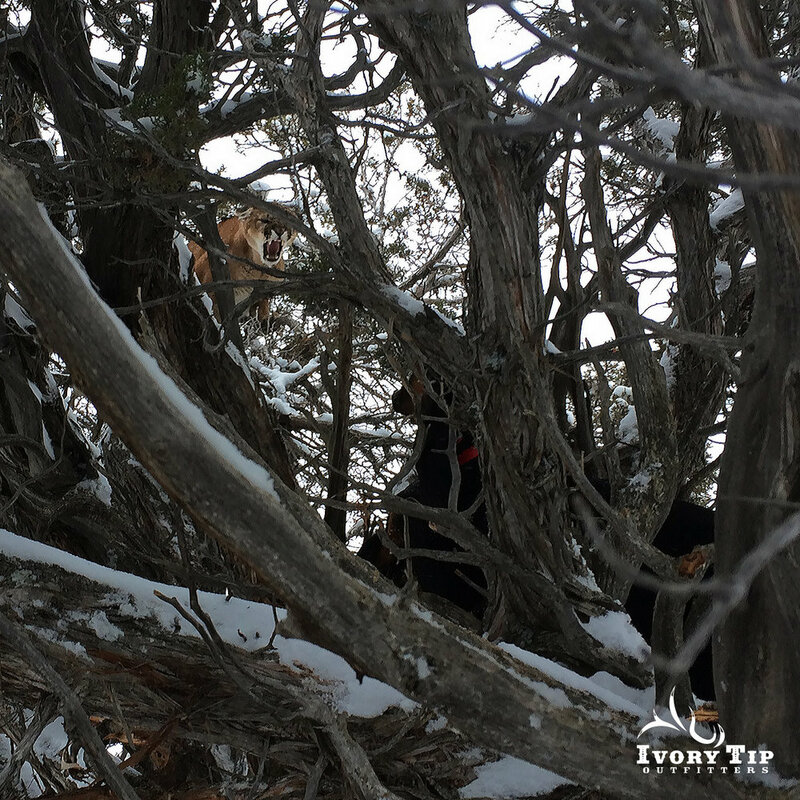 We offer fully guided 5 to 7 day mountain lion hunting trips. Our lodge will provide all the meals for this great adventure. We promise you will NOT be disappointed. READY TO START YOUR ADVENTURE? CLICK HERE!